Why More Patients Should Blog About Illness And Death : Shots - Health News The most prestigious medical institutions now encourage patients to blog their experiences with serious illness through sites like CaringBridge and CarePages. Palliative care experts say these tools and social media may be helping us all become more open to talking about death. 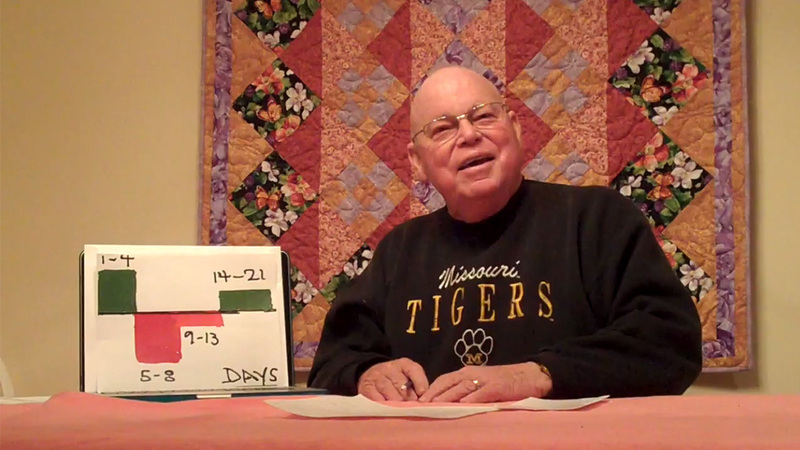 David Oliver, a retired professor at the University of Missouri, started a videoblog in 2011 after being diagnosed with stage 4 cancer. He's one of many people with serious illness who've taken up blogging to share their experience. We share so many milestones now through social media. And that includes health: A 2010 survey by Pew Research found that 23 percent of the users of social networking sites have followed their friends' personal health experiences on Facebook. So is it any surprise that the outer reaches of our social networks now also deliver us intimate stories of dying? "As more people tell their story of dying with a terminal illness, we're seeing a change in how we look at illness and mortality," says Christian Sinclair, national hospice medical director at Gentiva Health Services, a large home health care company. "Illness and death are still so technically driven, or medicalized. So getting a safe space, like a blog or social media, to talk about it can be very empowering." Blogging empowers patients to talk about illness outside the typical frame of "the battle," Sinclair says, and reading the stories helps family members, too. "They don't have to dodge the hard questions, because the patient is able to tell their story openly and frankly," says Sinclair, who also edits the blog Pallimed. Other institutions, like the Georgetown Lombardi Comprehensive Cancer Center in Washington, D.C., run writing workshops. Nancy Morgan, who directs the center's arts and humanities program, says she never instructs people to write directly about cancer. "There is a potential for wounding," she says, especially if the patients are depressed or otherwise feeling too vulnerable. "Most of the time they do [choose to write about the cancer], but it's their choice." While many illness blogs are read only by friends and family, some patients go more public with their stories. Right here on NPR.org, Leroy Sievers and his wife, Laurie Singer Sievers, blogged their way through Leroy's cancer, which took his life in 2008. And David Oliver, a retired professor of gerontology at the University of Missouri, and his wife, Debbie, a palliative care and hospice expert at the same university, have kept a video blog of David's illness on YouTube and this site. 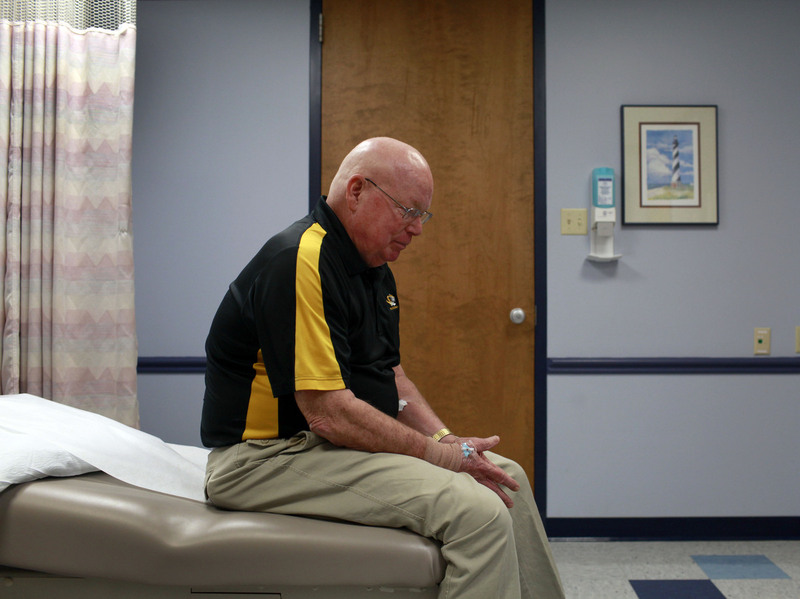 David Oliver sits quietly as he waits for the results of a scan at Ellis Fischel Cancer Center in Columbia, Mo., in 2012. The University of Missouri research professor was diagnosed with cancer in September 2011. He broke the news to colleagues via a video on the Internet. Still, some bloggers keep their blogs private from the people closest to their illness. A 2011 survey of 41 illness bloggers by researchers at Tufts University School of Medicine found that only 1 in 4 of the writers shared their blogs with their health providers. Holding back from doctors and nurses like that could be a missed opportunity — and not just for the patient, according to Sinclair. "I think these blogs help physicians and nurses see their patients as [people]," he says. "But there are boundaries, and some health care professionals are looking for opportunities to get closer while others want to shield themselves." Sinclair says that when patients have shared their blogs with him, he's enjoyed them. "I think it helps us check up on our own mortality. Am I doing the things I want to do? Am I making a difference? These are positive questions that can get lost in the shuffle of the day."